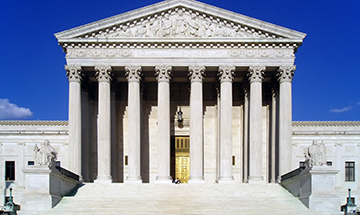 The conservative majority on the U.S. Supreme Court struck down the fair-share fees that public-employee unions in 22 states, including New York, collect from nonmembers to cover those workers’ share of collective bargaining costs. Mark Janus v. American Federation of State, County and Municipal Employees (AFSCME) is part of a coordinated effort by right-wing groups to pursue court cases that will weaken unions and diminish their leverage and bargaining power. This Q&A gives you the information you need to know about the case and its ramifications for UFT members. What was the Janus v. AFSCME case before the U.S. Supreme Court? Mark Janus, an employee of the Illinois Department of Healthcare and Family Services, has about $46 deducted from his paycheck every month to cover the collective-bargaining expenses of AFSCME, the union that represents employees at his state agency. Although Janus is not a union member, by law he receives all the rights and benefits under the contract the union negotiated for workers at his agency. Janus’ lawsuit, funded by deep-pocketed right-wing organizations out to destroy unions, contended that the collection of these agency or fair-share fees from nonmembers is unconstitutional because it violates their First Amendment free-speech rights. Fair-share or agency fees may not go for the union’s political activities that are only incidentally related to terms and conditions of employment, but the groups attacking unions argue the collective bargaining process itself in the public sector is inherently political speech. But didn’t the U.S. Supreme Court already rule in 2016 on this issue in the Rebecca Friedrichs v. California Teachers’ Association case? The Janus case reprises the same arguments as the Friedrichs case. The high court deadlocked 4–4 in the Friedrichs case after Justice Antonin Scalia’s death left the court without a majority. In such instances, the high court, once it has a full complement of justices, can agree to hear new cases that raise the same legal issues. What is at stake for UFT members? UFT members have premium-free health insurance, excellent pension benefits, a duty-free lunch, prep periods and more only because the union was strong enough to negotiate these rights and benefits. This case is part of a coordinated, sustained attack against working people in the United States. The right-wing groups behind this case seek to debilitate public employee unions and take away their power to advocate for their members by undermining their funding structure. So people who choose not to be union members won’t have to contribute a penny? That’s right. Essentially, those members who pay their dues will pay for collective bargaining and union services not only for themselves but also for these nonmembers who now become freeloaders. Not only is that unfair, but is it sustainable in the long run? No, it’s not. Dues-paying members and everyone else will be hurt because union resources will be spread thinner. The union could easily get caught in a downward spiral — or, at least, that’s the hope of the Bradley Foundation and the other right-wing forces behind this lawsuit. Members risk losing all the valuable rights and benefits the UFT has won over the decades. Look what happened to public schools and public school educators in Wisconsin, once a state with strong unions and great schools, after Gov. Walker gutted public-employee collective bargaining in 2011. The answer is simple: We have to stand together as UFT members, proudly continue to pay our union dues, and talk one-on-one with our colleagues about the value of the union.